For the fourth consecutive year, NOUT projects have been 100% successful. This includes projects carried out by NOUT as well as those handled by our authorized partners using our solutions. Success can be explained both by the quality of our products, with their unique adaptability to face the challenges of unexpected projects (which there always are…) and by our field-proven method. 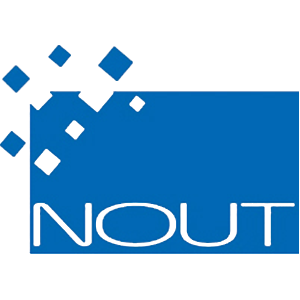 NOUT and its integration partners apply a rigorous project quality assurance plan. Integrating an ERP or CRM for a company is often a long and delicate project that demands irreproachable rigor. Read how our methodology is implemented so that projects can progress smoothly under well-managed conditions, as described in the Project Quality Assurance Plan. A number of services are offered to keep your project moving forward under the best possible conditions. You establish specifications before the project begins. We study your situation and respond with an offer, presenting the NOUT solution with respect to your needs and coming to agreement on how to proceed together. At that point, we can establish an expected timeline for the project. This calendar specifies the start and end dates of the various project stages, as well as the deliverables expected by both of us. The next step is to assemble a project team comprising motivated leaders for your company, who will serve as functional points-of-contact, and experienced and qualified members from NOUT. The purpose of a project briefing meeting is to inform future users about the project, reassure them, motivate them, and get them involved them in the project. To lay the groundwork for the functional study, our team prepares questionnaires sheets on each project theme. It is important for your team leaders and future users to reach agreement regarding the answers to these questions. It is also important for you to send the answers back to us within the deadlines established in the agreed schedule. The purpose of these questionnaire is to effectively evaluate your functional needs. Your answers give you an opportunity to list the fields of the forms you need, as well as the processing and management rules that are attached to them. Once the questionnaires are received, our team prepares one or more interviews with the various functional references to reach a very precise description of the need and working methods, as well as a detailed description of the solution that needs to be implemented. The detailed description becomes the project’s functional specifications. Functional specifications are presented at a final meeting for the study phase, and are then sent to your team for comments and approval. Our teams work together to establish test scenarios to validate the application over the course of the project, more intensively during the testing phase. This step requires that you describe business cases to us in the most exhaustive manner possible so that application tests accurately validate all possible cases. These scenarios enable us to draft an acceptance test for the project. After the scenarios are validated, configuration specifications are written to detail everything that must be done to set final parameters. This document describes changes made to existing forms, new forms to be created, automated processing, validity checks, and more. It also constitutes a foundation for the configuration team to do its job when the time comes. Our project team carries out the various tasks related to system settings by following the configuration specifications document. Depending on your needs, as agreed in our proposal, settings can also be handled by people on your team. Tests and meetings with functional references and future users are organized on a regular basis. New requests may arise during these meetings. Additional requests are listed, discussed, and then decided. They may be integrated into the project, rejected or postponed for a future project. At this point, you provide us with a first version of the files exported from your system, as well as the required interface formats, following our recommendations. We set up the imports, exports, and interfaces. After importing target volumes, performance tests are performed as early as possible to allow time for optimization. Once we are done importing and testing, you are requested to validate the results of the import process. When we enter the production phase. Face-to-face or telephone meetings are held every week for steering. A project management committee is organized once a month with the whole team. We send meeting minutes to you within two working days following the meeting. We carry out extensive qualification tests using actual data and the test scenarios prepared earlier in the project cycle. On-Site Acceptance Testing involves the exhaustive testing of your application under conditions that are as close to possible as your production environment. OSAT is based on a series of test scenarios. On-Site Acceptance Testing requires reference users to be trained at your company; Operational Quality requires other users to be trained. The Operational Quality phase can begin when On-Site Acceptance Testing is complete. SIMAX and software created with NOUT Builder are very user-friendly tools that require far less training than traditional solutions. We offer training that reassures your users, while making them want to participate and work faster and more effectively. Training may be provided by members of our partner network who we have selected for their expertise in your profession and their sense of service. You can also choose key users to serve internally as training relays. Operational Qualification (OQ) involves implementing the solution in a production environment partially for testing under real conditions. For example, this can be limited to a department, specific people, or a site. If partial and progressive launch is not feasible, OQ can be handled as a production phase, with or without double entry, with attentive monitoring by the project team. Generally, the import and export possibilities of SIMAX and NOUT Builder do not necessitate periods of double entry. For OQ, the project team often exports data and imports it into the new system on Friday, and trained users start on the new system Monday morning. After production begins, we can provide assistance to help with ramp-up at your organization, and to support users as they adapt to new everyday practices. Project acceptance is signed according to the timing established in the schedule. After that, we send you a Quality questionnaire to follow up and measure your level of satisfaction. Upon project completion, you may choose to sign up for a maintenance contract with NOUT technical support to be able to take advantage of our hotline, updates, and access to the customer extranet space on our website. Looking for advice or recommendation ? Describe your project and our team will contact you shorly.